This set of three square Equation tables is ideal for use within schools, pre-schools and nurseries. Available in a choice of 11 vibrant colours and 6 heights to suit ages ranging from 3 to 14+ years. 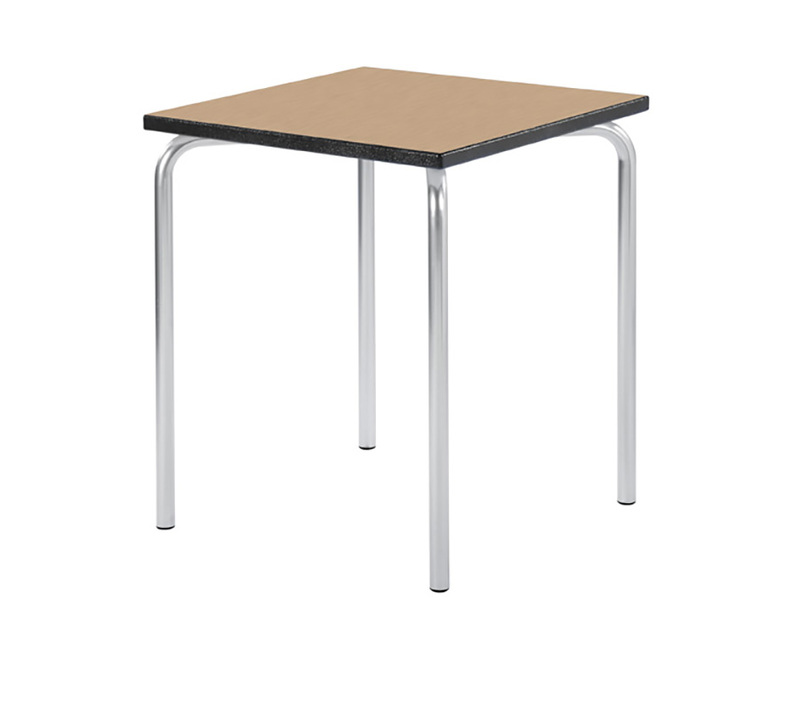 The 600mm x 600mm square classroom table has a 32mm round steel frame with a durable speckled light grey paint finish. Each table has a 25mm thick resilient laminated table top with a hard wearing, textured spray PU edging. Choose from blue, light grey or charcoal edge colour. The Equation tables feature height adjustable feet to ensure stability as well as tamper-proof screw fixings. The tables come in a pack of three and include a 10 year guarantee. 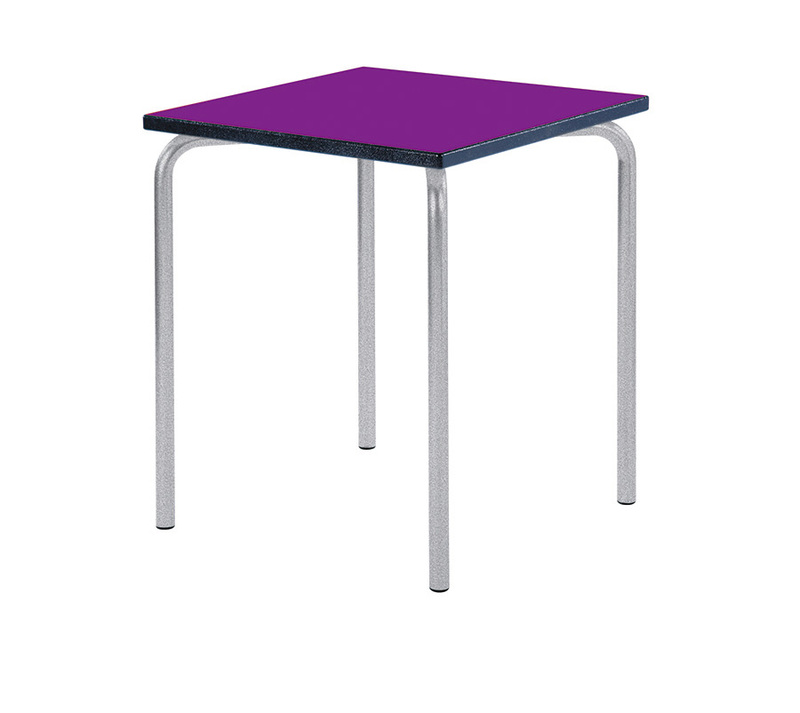 Compatible with other Equation tables so can be used to create modular table shapes which can be accommodated in any classroom shape or size. Also available in the Equation table range are the Rectangular, Trapezoidal, Circular, Semi-Circular and Arc tables. For a stylish, modular solution the Equation Leaf and Equation Jewel tables are also available which fit together in a range of fun shapes combinations.